In all my years, I can’t deny that I’ve been mislead by different products and their hype. It’s like hearing how funny or scary that new movie at the theaters is. You get excited, and when you see it, it’s not nearly what you thought it would be because of all of the hype surrounding it. The same thing happens with new tech that comes out. You read the previews. You see how the company releasing the device paints the prettiest picture of their new product. They put it in the best light. You get so excited for it. You may justify some type of need that would deem it necessary to get the new device, and then it happens. You get your new device and you’re less than impressed. Unfortunately this is the way of the new Tab Pro 8.4 from Samsung.It’s not like the companies that create these different technologies intend on their products failing or not living up to the standards of their customers. The sad truth is though, is that as soon as you buy a new device, it’s obsolete. That’s just how quickly technology develops these days. There is always something better coming out or already out that you may be unaware of.The new Tab Pro 8.4 is as big as the number in its name; 8.4 inches. 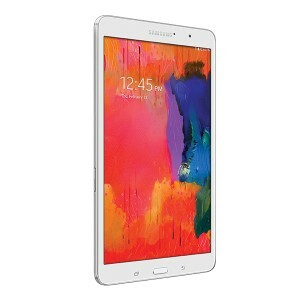 It’s part of the mid-size tablet family, and is lacking some of the design specs that came with the other tablets in the Samsung family, like the 8 inch Galaxy Note 3. One such example is the lack of the S pen stylus that comes with the Galaxy Note 3. Normally that might be a small inconvenience, but the fact that both of these tablets are priced at the same price makes it slightly more annoying out of sheer principle. That annoyance noted though, the screen resolution is better on the Tab Pro 8.4. The Tab Pro comes with a 1,600 x 2,560 pixel screen, with 359 pixels per inch. Thats much better than the 800 x 1,280 pixel resolution screen and 189 pixels per inch on the Note 3. A tablet is much more than just screen size and resolution however. The software and apps of a tablet mean a lot as well. The software of the new Tab Pro 8.4 isn’t necessarily BAD, but some of the features that it COULD have come with didn’t show up, and I’m not exactly sure why. 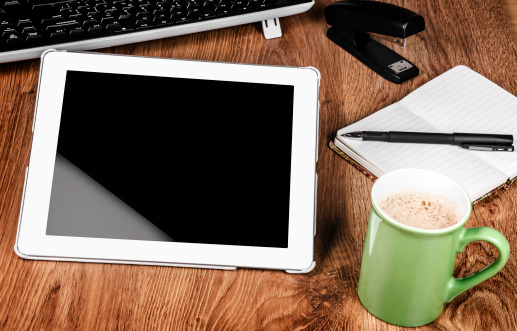 The Tab Pro allows for multi-window and multi-tasking features. This means that you can have certain apps going side by side the same time and go in between them. Only issue being that the side by side apps can’t work in conjunction with each other. If you have your email open and some type of “Word” document open next to it, and try to drag it over to attach it into the email, it won’t attach that way. That can be annoying along with the fact that it doesn’t come with any type of “Office” programs. The ones that come recommended feel like simplified versions once you download them. Some other downfalls of the device include the camera and the advertised battery life. The camera itself is better than the Note 3 on the back. 8MP on the Tab Pro pitted against the 5MP of the Note 3. Even with the higher megapixels, the camera on the Tab Pro still takes about 4 seconds or so for the flash and image to fully process into an image, which seems a bit longer than it should be for a tablet. The battery SAYS 12 hours of video playback, but don’t expect to get that. While this 4800 mAh battery is better than the 3200 mAh batter of the Note 3, it’s still subject to the availability of Wi-Fi, 3G, and 4G LTE. This means that it might have to try harder for certain program functions. That being said, you should still be able to get roughly 6 to 8 hours of constant use out of it before needing a recharge, and that’s not that bad I suppose. All in all, the new Tab Pro isn’t BAD by any means, but its just not as “Pro” as the name makes it out to be. Then again, some people’s standards may be higher than others. 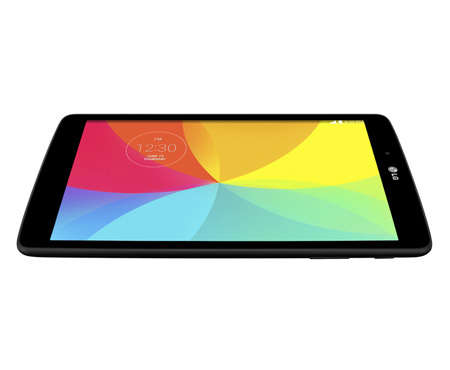 If interested in this particular model, I highly suggest renting it before you buy so you can be sure that this tablet is the one you want. 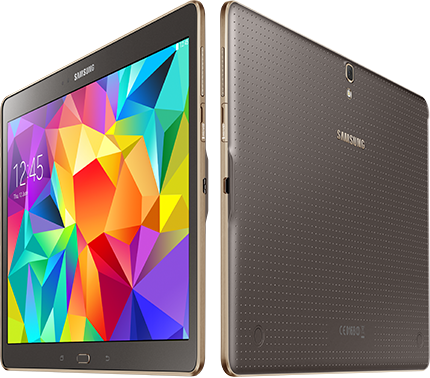 Samsung has been battling Apple in the tablet wars for some time now. 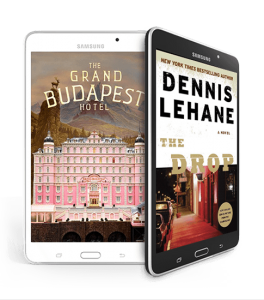 Though Apple still has the largest share of the tablet market, Samsung is releasing a line of tablets with features that might make you want to put down that Apple iPad for a Samsung Tablet. And that’s what many are doing, as Apple is losing more and more of the market share to Samsung. The Galaxy Tab Pro series didn’t stuggle by any means, and now there are plans to release a new line of tablets. So what might Samsung be able to add now, seeing as how their tablet line is pretty extensive. As it stands right now, they have plans to release the new Samsung Galaxy Tab S. Now, I’m not too sure what the S is for, but there do seem to be some pretty promising features for the new model. Since these are just rumors right now, please take that into consideration. Speculation considered, the tablet looks to be pretty well rounded, and definitely geared towards the higher end of the spectrum. The first rumored feature that caught my attention was the possibility of a fingerprint scanner on the home button. This in particular makes me nervous just because we know all about the many different ways that you could open the fingerprint scanner on the iPhone 5S. Everything from a cat paw, to your elbow could open up the phone. Hopefully this same thing doesn’t happen to the new Tab S, but that is just one feature so I don’t mean to pigeonhole here. 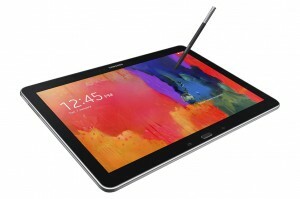 The new tablet it also said to feature an AMOLED screen with a 2,560 x 1,440 pixel display. It’s also rumored to be coming in two different sizes. One in 10.5 inches and then a slightly smaller version (possibly a mini version?) coming in at 8.4 inches. 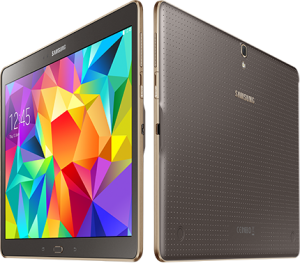 If we take a look inside the new tablets, we’re going to find a Samsung Exynos 5 Octo processor and 3GB of RAM. Again, these are just reports of what will be inside. Samsung hasn’t confirmed these assumptions…yet. Both the 10.5 inch model and the 8.4 inch model will be offered in Wi-Fi and 4G LTE models. The new tablets will also be coming with a pretty decent camera for tablets. Rumor says it will house an 8 megapixel rear facing camera and a 2.1 megapixel rear facing camera. There are no confirmed dates for release or prices given yet, but something tells me that we won’t have to wait long to see what is going to come from Samsung’s new tablets. They are definitely continuing to give options, which is not a bad market strategy. On the other hand, Apple doesn’t offer too many options for tablets, but the iPad is still on top as of now. Then again, you never know. This tablet could be the Galaxy Tab to finally push the Apple iPad off of it’s pedestal. It seems like the new trend in tablets lately is for companies to keep pushing the limits on screen size. If size really does in fact matter to you, then prepare to be excited. 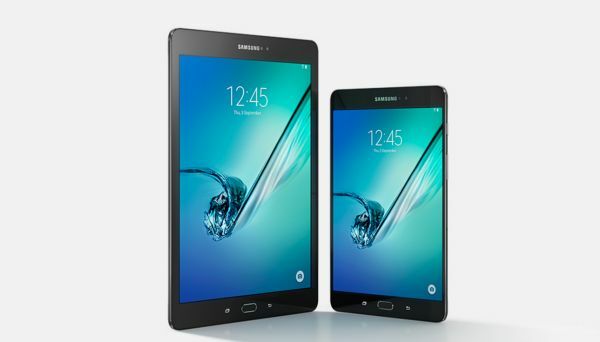 Samsung’s huge Android tablets, the Galaxy Note Pro and Tab pro will both be available tomorrow. A few days ago, information about the release of the Galaxy Note Pro leaked on Office Depot’s website. It listed the release date of Feb. 13th and the price. 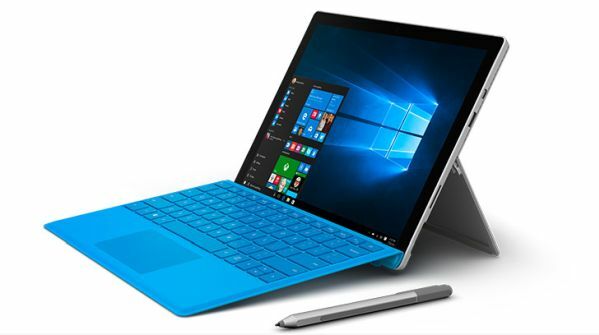 The huge 12.2 inch tablet will be $849.99 for the 64GB version and $749.00 for the 32GB version. The price is staggering, and makes them some of the most expensive tablets on the entire market right now. Basically the only notable difference between the Note Pro and the Tab Pro is that the Tab Pro doesn’t come with an S Pen stylus. It still has the same screen size, and there is the option to get a smaller screen size as well. The 12.2 inch version are $649.99 with 32GB, the 10.1 inch version is $499.99 with 16GB, and the 8.4 inch one is $399.99 with 16GB as well. Both are available for pre order at the moment, and all come with the option of either black or white. The pro tablets are actually pretty impressive, so the size of the screen isn’t the only nice thing about them. They have a 2,560 x 1,600 display, which is a lot more pixels than you would have thought. They have 3GB of ram, support for 802.11ac Wi-Fi and run on Android 4.4 KitKat. One of the coolest features that you may have already heard of is the Remote PC app that lets you access your home computer from anywhere. Both tablets can run multiple apps at the same time in different windows. They are equipped with infrared ports and the software needed to use the tablets as a remote control for you TV. There will also be 4G LTE versions of the tablet some time in the future, but there is no word on that yet.